2016-2017+ V8 Camaro Roto-Fab Intake System – PCM of NC, Inc.
Our go-to intake! 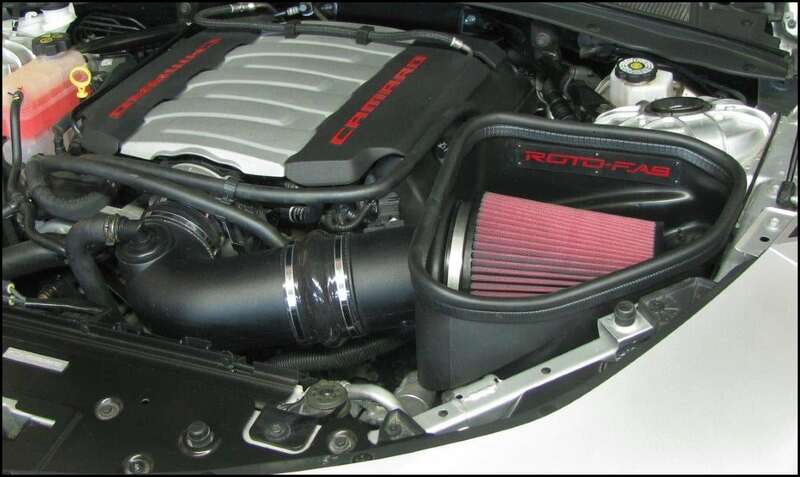 The Roto Fab intake for the 2016+ V8 Camaro is an excellent performer, easy to install, and looks great too! 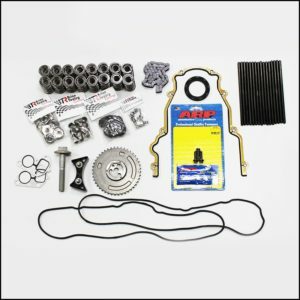 The air box is custom made to keep engine/radiator heat away from your filter, while the molded air box adapter tube incorporates the MAF (mass air flow) sensor. 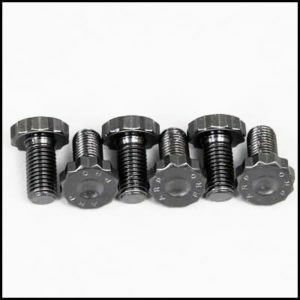 Installs easily using factory mounting points. While a tune will help you maximize the gains from your new intake, it is not necessary to have a tune to run this intake. The open top design effectively seals to the hood which maximizes air box volume while providing all of the advantages of a lid. 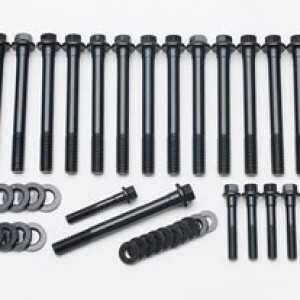 Roto Fab uses top quality components throughout including high gloss silicone hose couplers, stainless steel hose clamps, stainless steel fasteners, molded-in inserts for air box and MAF sensor mounting and high quality filters designed to last for the life of the vehicle. The air box and duct work are custom molded to maximize air flow and fit the car perfectly. The logo badge on the air box has a black anodized finish with a laser etched Roto-fab logo. 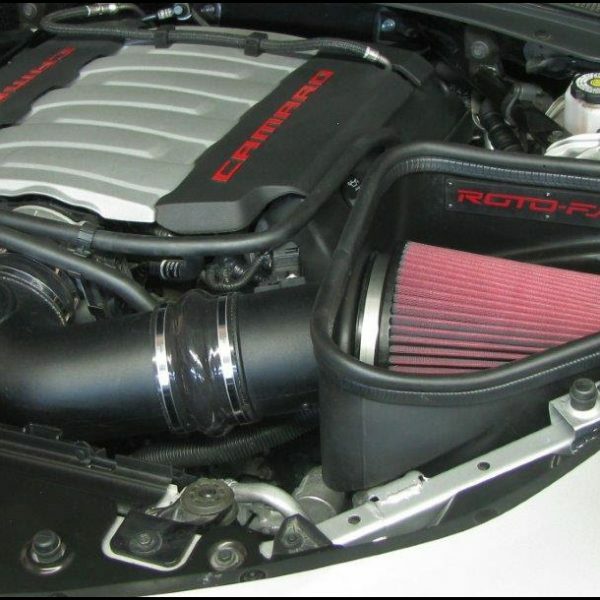 The Roto-fab 2016-17 Camaro SS cold air intake system comes standard with an oil filter and accommodations for the sound enhancement feature in the car. The dry filter option can be chosen for an additional cost. We are also offering the intake system with a “sound tube delete” option. This option eliminates the sound tube assembly from the inlet elbow all the way back to the fire wall. 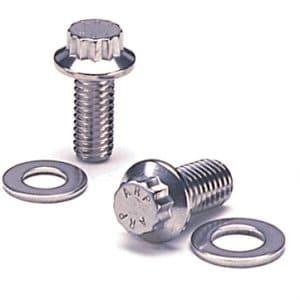 The package features a smooth inlet elbow with no sound tube provision and a block-off plate for the sound tube entry in the firewall.